Time for organic cotton short sleeve tees, chilled Finger Lakes whites or Ithaca Beers and gorge hiking (be careful when mixing these)! 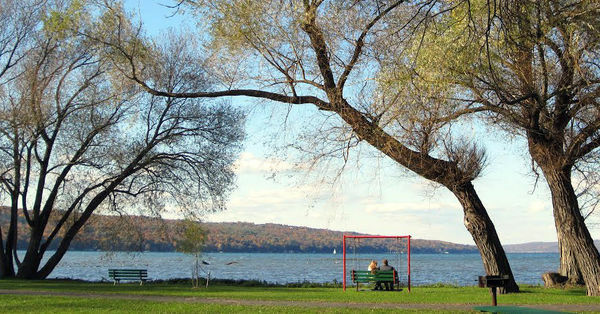 Stop in and say hello during Ithaca Festival (June 2 to 4)! Summer is the season of iced coffees & iced teas. We have the well designed lids, holsters and stainless steel straws to transform your mason jars into eco-chic vessels for stylish sipping on the go! Did you know that plastic drinking straws are not recyclable in Tompkins County? (They are too small for the machinery.) Our high quality stainless bent straws and straight straws will last a lifetime, and are now available in singles or sets of 4. We also have skinny brushes for cleaning your straws. 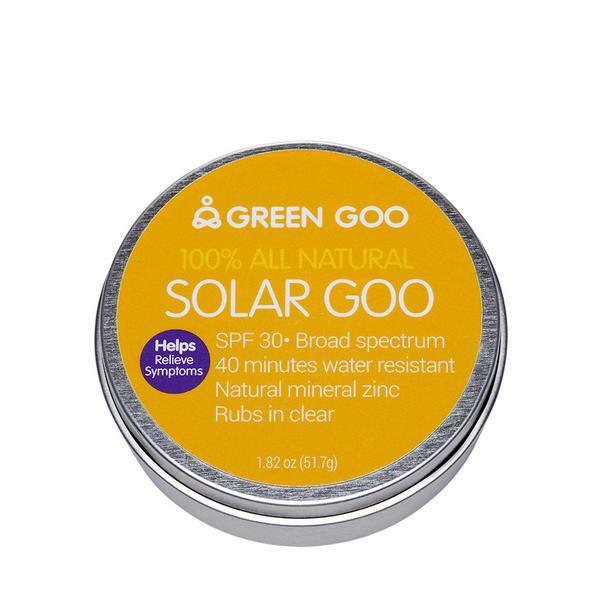 Protect your skin with the good stuff: Solar Goo from Sierra Sage. Your favorite craft beers and ciders are better when they stay cold. 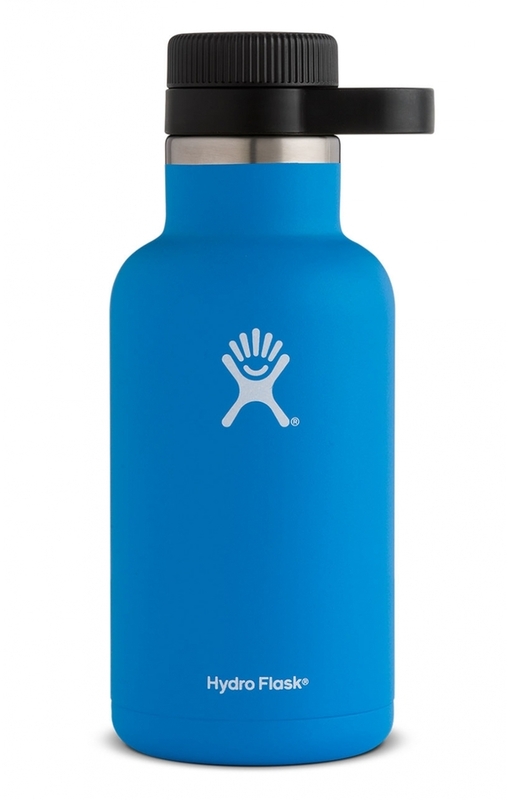 Pick up an awesome 64oz insulated growler at HGH and fill it across the Commons at Cellar d'Or. Enjoy your growler responsibly! 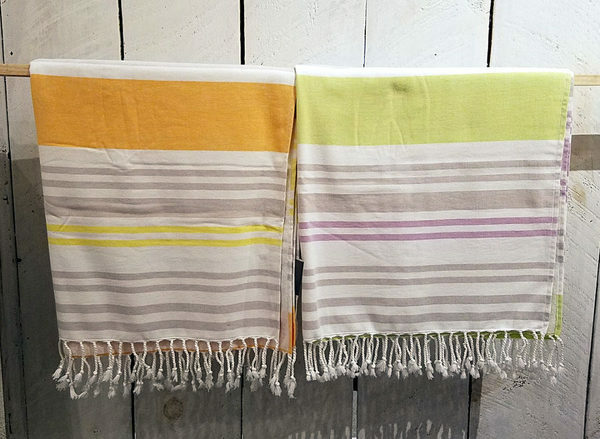 Hit the beach at Taughannock's North Point this summer with a Coyuchi organic cotton beach towel in vibrant summer colors!